Rosemary McGee conducts the election. The minutes from the November 11, 2014 annual meeting of the Governors Village Property Owners Association (POA) are available below. 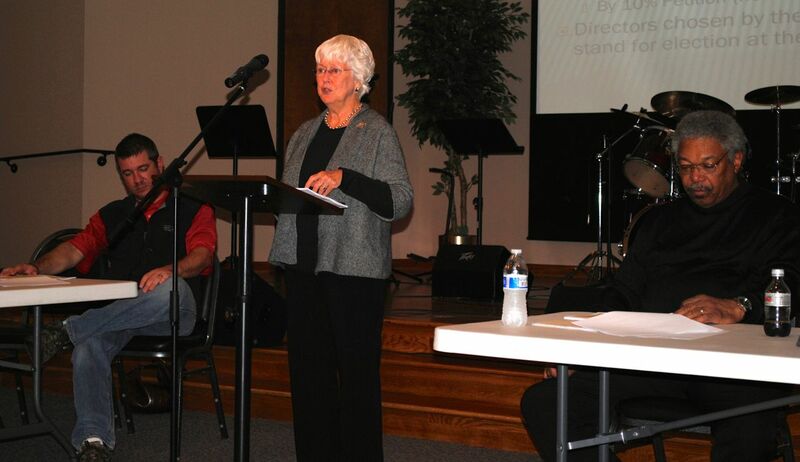 Summary 2014 Governors Village POA Annual Meeting – photographs from the meeting. This entry was posted in gv Events, gv POA Board Minutes and Summaries, gv POA Business and tagged gv_poa_minutes on January 21, 2015 by govvillage.